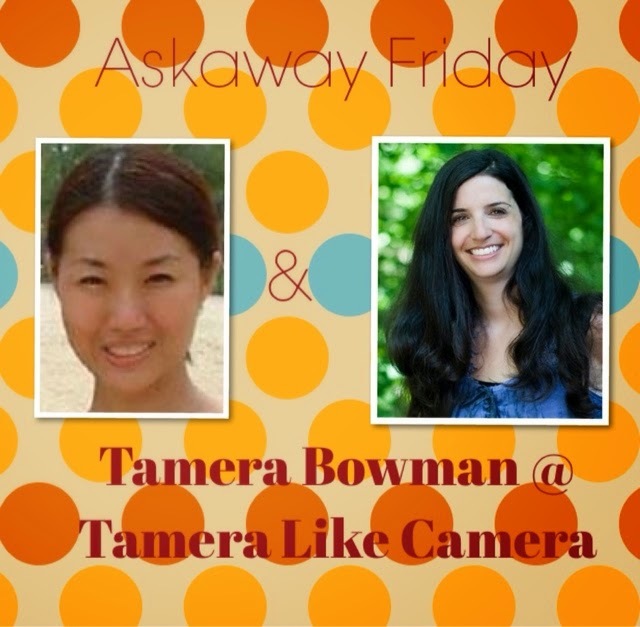 Thank Goodness it’s #AskAwayFriday…Welcome back to the best link up around...#AskAwayFriday! This week I had an awesome swap with Tamera Bowman from Tamera Like Camera. Be sure to pop over and check her answers to my questions.. Tamera is a professional photographer, writer, book co-author, lover of sundresses, cookies and moose. She has two beautiful children and shares her albums, adventures and photography journeys on her blog! Grab our button, follow our amazing hosts and co-host, hop through the great link ups and make some amazing new friends! Come and be a Co-host for this amazing party! Click on the image below to fill out the form to take part! These are the 10 questions from Tamera and my answers. 1. If you could have a second home anywhere in the world, where would you build/buy one? And why? We already bought one but it was still in Singapore! If anywhere else, maybe Australia or California. I have never been to California but the beaches from the TV look so beautiful. I love Australia for its cleanliness and safety for the children. Nature in Australia is simply too breath-taking for Singaporeans not to pick a house there. Another plus factor is its distance to us! Close enough to visit families in Singapore regularly! 2. If I came to visit you, with my camera and my two kids (2 and 5), what would we do together in your town? There are plenty of things to do here with young children. We love the parks, musuems, beaches - Siloso and the newly built Resorts World Sentosa - sand sculpture!. Take a train ride around the neighbourhoods to look at the flats and daily lives of Singaporeans. Great for a change on your camera. 3. How did you find yourself as a blogger? Was it surprising, or a goal/dream of yours? Yes, it was surprising! The idea came as a project I wanted to do with my children. They love bugs and one day, we got home a grasshopper to look at. It resonated with my need to do something after having 4 kids and the idea of blogging was borned. 4. What was one of the best trips you've ever taken in your life? We love our trip to France. It was to visit our friends who had stayed in Singapore but went back home. The country was beautiful and the most I remembered about was the time spent with our friends. 5. Do you celebrate any holidays in December (I do both Chanukah and Christmas)? What are some traditions you have with your family? Whow, Christmas is big in Singapore! We are Christians and so Christmas is big in that way. Otherwise, we have always loved the Lunar New Year. We love to watch the firecrackers and spend reunion time with the family. 6. My kids are infamous for the things that come out of their mouths. What is something hilarious one of your kids has said recently? I brought two older children to watch the Asia Pacific Junior Original Concert last weekend and the eldest one, D fell asleep. I told this to my husband, and he asked D, "Did anyone ask you what was your name?" He replied, "Yes, I told them my surname." 7. What is your favorite treat in the world? 8. What is your favorite thing about the town/city you live in? I would not take the safety of this city for granted. 9. I know you said you love everything that is beautiful. What are some things that you find beautiful? 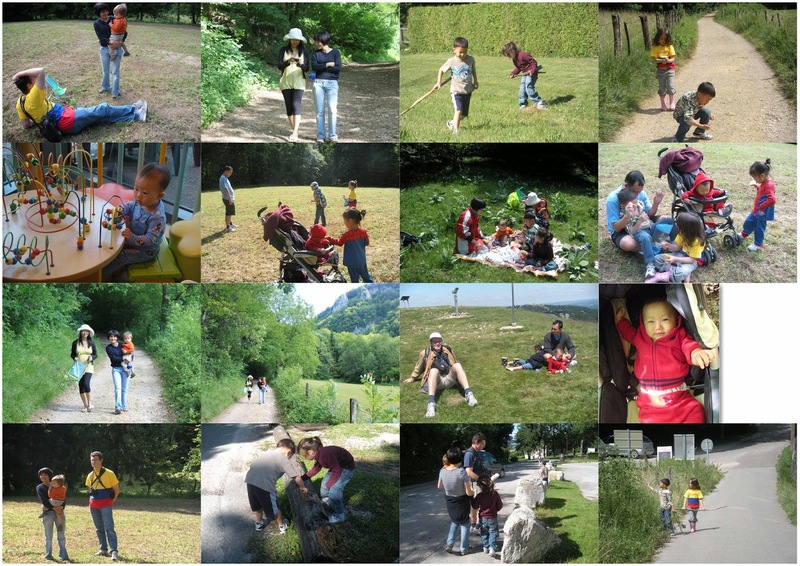 Kindness, children's works and simply, creations. Singaporeans are not known for having great sense of creativity. I know it is because we are too busy to slow down to create. So when I saw little children create, it makes me happy. The freedom is simply beautiful. 10. How did you meet your husband? I know you've known him for a long time. How did he win you over? We met in the college. He was in the class next door and one day, he asked me out through a good friend. I am impressed by his sincerity and ability to make decisions quick. Thanks so much Tamera for your wonderful questions! I had such an incredible time answering them. Be sure to pop over Tamera Like Camera to check her answers to my questions. Check out our Facebook page "AskAwayFriday" for a great place to meet up and send out a #BuddyRequest if you need a partner to swap with! 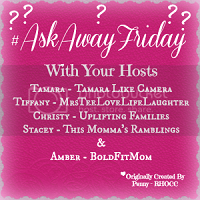 Would you like to join in on the #AskAwayFriday fun as a co-host? Click on the link below and fill out the form!https://docs.google.com/forms/d/1UhIFHDZT8-hFtNjHU7v5HHqM1N9JWq7eSd_5aO_MOdY/viewform By adding your email to this link up, you will be added to email correspondence that may be sent by one of our hosts, you may opt out at any time. Host's reserve the right to remove any links that do not pertain to the #AskAwayFriday theme. I've never been to Australia but I lived in California! It was awesome. And I love chocolates too! Would love to go to France. Thanks so much for a great swap! I remember when I started blogging it w as horrible. Writing to me wasn't fun and I lot he'd doing it. However, I was tired of the rat race and wanted to make some extra money. Over te last two years things have changed a ton and I have a huge blog. I am thankful for it because it gives me an outlet plus I love helping families. If I could have a second hone. I.would choose Hawaii or South Florida. Dear Christy, I just noticed your comment slipped out of mind. 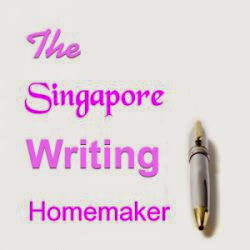 Yes writing or blogging had been a new and challenging task but as I start to discover the joy, writing as you said became easier. Your blog is so awesome. I read many of your articles and shared them! Thanks Tamera for the swap indeed!